I’m super excited to announce the ARC giveaway for Love Square as well as the official release date! Yes, you heard me right! There is a release date! If you don’t already follow me on Facebook, you might have missed Kayla the Bibliophile’s exclusive release date announcement. Well, have no fear! I’ll go ahead and give it to you anyway! I can’t wait and am officially counting down the days until I can share my baby with you all! Now for the fun part! I’ll be giving away three (3) ARC copies via Amazon’s Personal Documents. Please note, I’m doing it this way to help keep the files from being shared/pirated. A girl can never be too careful! If you don’t own a Kindle, no need to despair… You can read it via the Kindle app on your mobile device! Can't wait to read your book! It looks great! Thank you for the giveaway. 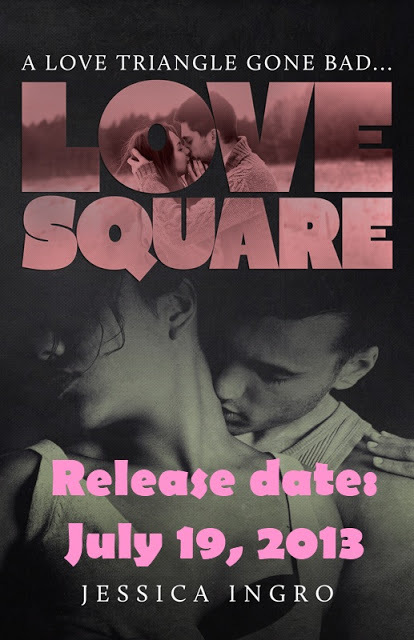 Love Square is on my TBR list. I can't wait to read this book! Thank you so much for the giveaway! Sounds awesome!! Can't wait to read this!!! Can't wait to read this. Thanks for the giveaway! can't wait to read your book..
Can't wait for this to be released! 🙂 Added it to my TBR list. Awesome! I really want to read this book!! Thanks for the chance at winning a copy!! Excited to read Love Square! Looking forward to winning! 😀 lol Thanks for the opportunity! OMG I sooooooo wanna win this!!!!! *fingers crossed* Thank you for the chance Jessica!!!! Thank you for this giveaway!! Can't wait to read this..
waiting for my free stuff!! I would love the opportunity to read this! I'm really looking forward to reading this book. Thank you for the opportunity to win a copy. This looks like a super angsty book! My favorite kind! Thank you for the giveaway. I can't wait for this book! Its going to be amazing! This looks like a great book! Can't wait to read this! Love Square sounds fantastic! So looking forward to reading it. Thank you, added to my TBR! Thanks for the giveaway! Can't wait to read it.